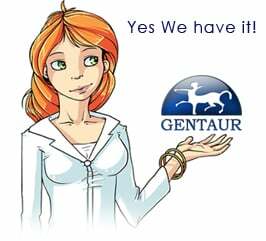 Gentaur antibody-antibodies.com The Marketplace for Antibodies : Isolation and characterization of autophagy-defective mutants of Saccharomyces cerevisiae. Autophagy in the yeast is similar to that in mammalian cells. A mutant designated as apg1 (autophagy) defective in accumulation of autophagic bodies in the vacuoles was isolated by selection using a light microscope from a mutagenized proteinase-deficient strain. In the apg1 strain, which has normal vacuolar proteinases, nitrogen starvation did not induce protein degradation. The apg1 mutant lost its viability faster than wild-type cells during nitrogen starvation. By using the loss of viability as a first screening test, 75 other apg mutants were selected. These apg mutants including apg1 fell into 15 complementation groups. Genetic analyses of representative apg mutants revealed that they all had single recessive chromosomal mutations. Strains with each apg mutation were defective in protein degradation in the vacuoles induced by nitrogen starvation and homozygous diploids for each apg mutation did not sporulate. These results on the apg mutants suggest that autophagy via autophagic bodies is indispensable for protein degradation in the vacuoles under starvation conditions, and that at least 15 APG genes are involved in autophagy in yeast. Autophagy, proteases and the sense of balance.